As part of the 2015 hennemusic Rock News Awards, the site has been counting down the Top 10 Rock News stories of the past year. Today we unveil the No. 1 hennemusic Rock News Story Of The Year! In March, Twisted Sister frontman Dee Snider slammed KISS for its reuse of original makeup by non-original band members Tommy Thayer and Eric Singer. 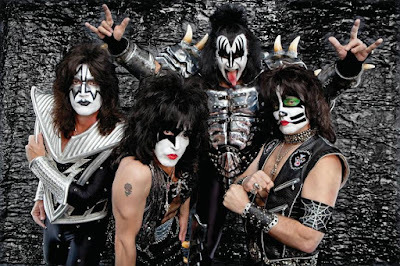 Thayer dresses in original lead guitarist Ace Frehley’s makeup and stage outfits while Singer does the same with original drummer Peter Criss’ gear, while each perform songs by their counterparts. Check out what else Snider had to say in the No. 1 hennemusic story of 2015 on KISS here.